If you have never tried the Outback Steakhouse Walkabout Soup, you are missing a wonderful bowl of soup. This is a creamy onion soup that is hearty and filling. 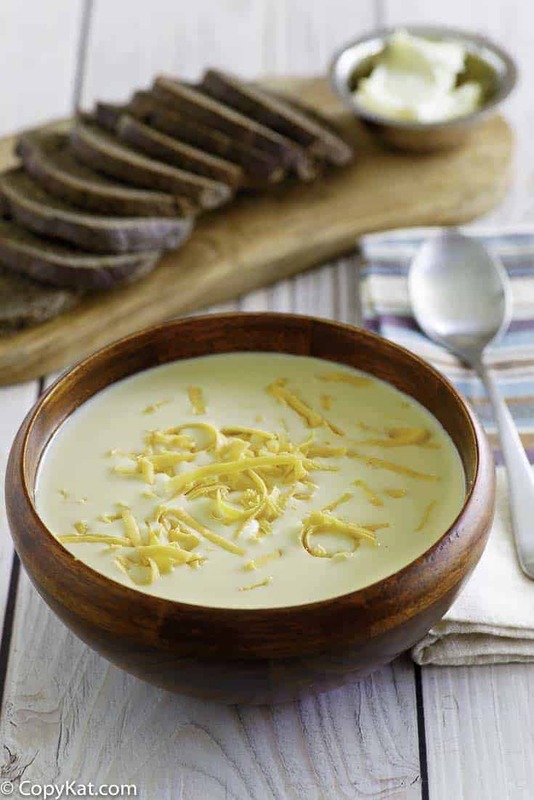 It’s a perfect soup for a cold winter day when you want something really tasty and warming. Unfortunately, the Outback Steakhouse Walkabout Soup has gone on a walkabout from the Outback Steakhouse. If you’ve been disappointed when they removed it from their menu, you can recreate this soup while staying at home. The walkabout belongs to the Australian Aborigines. It was a cultural rite of passage in which young Aborigines between the ages of ten and sixteen undertook a journey to help transform them into adults. This journey could last for up to six months, and the participant had to live and survive all alone in the Australian wilderness. Only those youngsters who had proven themselves mentally and physically ready were allowed to proceed with the walkabout, and the tribal elders decided who should go. You can read more about the walkabout by clicking here. 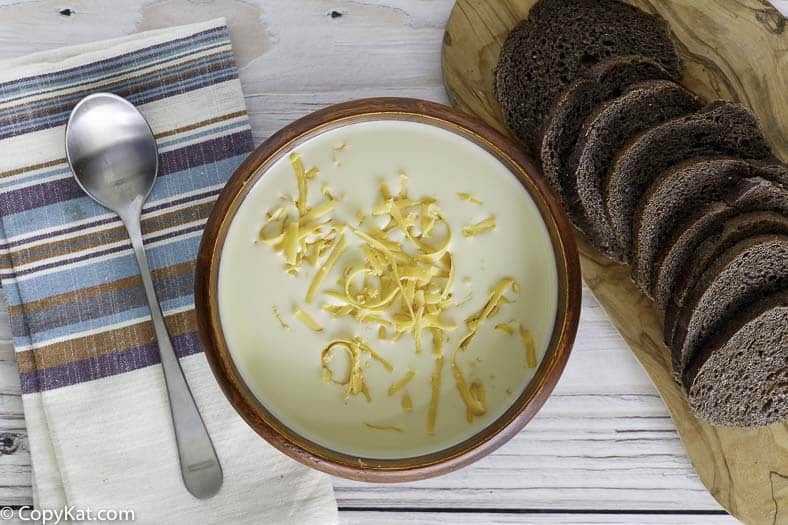 You may want to use low sodium products when making this recipe, as between the chicken bouillon and the Velveeta cheese this soup may become too salty for some. You can also use unsalted butter and low sodium chicken broth. I always like to undersalt slightly when cooking because I can always adjust the seasoning after the fact. I think you may want to make sure your sauce gets hot enough while you are in the roux stage. It needs the heat to get going. Sometimes if you are too timid on the heat, it won’t get thick enough. Anytime when making a roux and your ratio is right, but it isn’t coming together, just kick up the heat a bit. It will do the trick. You can find more copycat Outback Steakhouse Recipes, by clicking here. This was one of my favorite soups from the Outback Steakhouse. The Walkabout Soup is not only easy to make, but has just a few simple ingredients. So, you won’t be running out to the store to make this soup. I like to use Walla onions, but if you can’t find them you could use 1015 onions or any other kind of sweet onion. I find that white onions also work well for this recipe. This recipe makes four small portions which are the perfect starters to a meal. It may become your “go to” soup, and every last drop will get enjoyed. 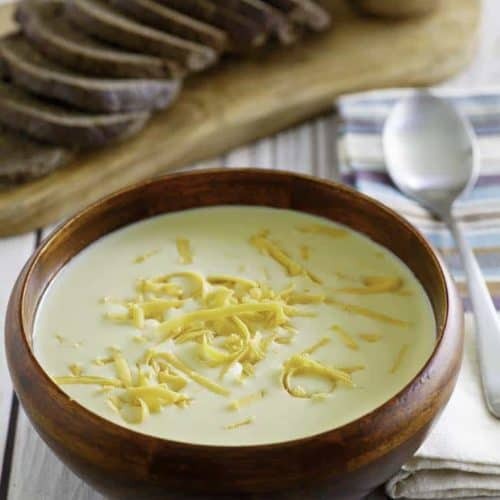 Outback Steakhouse Walkabout Soup has been removed from the Outback Steakhouse menu, but you can recreate this soup at home. In 2-quart saucepan, place butter and sliced onions. Cook at low to medium heat, stirring frequently, until soft and clear but not brown. Add chicken broth from can, chicken bouillon cubes, salt, and pepper and stir until completely heated through. In a 1-quart saucepan, melt butter and add flour. Cook on medium heat until the flour turns thick and comes away from the side of the saucepan. Pour milk into flour a little at a time and stir constantly; add salt. The mixture should thicken and become like thick pudding. Remember to stir constantly, taking care not to let mixture lump. Remove from heat and set aside until ready to use for the soup. Add white sauce and Velveeta cheese. White sauce will be thick because it has been removed from the heat. Simmer on medium-low heat until the cheese is melted and all ingredients are blended, stirring constantly. Turn temperature to warm and let cook for additional 30-45 minutes. Serve with a garnish of shredded cheddar cheese and a couple of slices of warm, dark Russian bread. Big Winner!!!!!!! We absolutely love this soup.I have given some to my neighbors – they always love it and ask me for the recipe. It is a grey, rainy day, so I made it for lunch. Yum Yum. The fun thing is that I always have the ingredients on hand, so I can fix anytime. Aw thank you! I love recipes that you have everything on hand! WOW!!! Thank you Stephanie. This is awesome!!! 10 star as it is, for sure. I made it yesterday for my husband and I. This was our favorite soup of all times. We were so disappointed when they removed it from their menu. The soup was our reason for our frequent visits. This brought us back to a time and place we loved. Thank you, thank you so very much!!! I am so glad you like the soup. My grandson was very upset that Outback deleted the soup from the menu. Can’t wait to try this recipe. I was so upset when Outback took it off their menu. I know the recipe to Alice Springs Chicken. I’m sure you already know it. It’s so simple. Thank you thank you thank you for posting this recipe. From Miami. We’ve been making this recipe for years and it has now been requested by every person who’s tried it! This is AT LEAST our 5th year making this soup and it never gets old! I REALLY want t o make this soup BUT the cubes have MSG in them and I am highly allergic – what can I sub for them??? I’ve now made this multiple times. Great recipe and every last drop gets enjoyed. I can double it – and folks just eat more! Thank you! This recipe is definitely now a family favorite – and is made repeatedly each fall/winter. At the point where you have stirred in the cheese, and as soon as it’s melted, dump in either a bag of frozen (thawed) broccoli or fresh broccoli and let it simmer for the final 40 minutes or so…. until it’s tender…. YUMMO!!!!! You could even add it in with the broth….. depending on how al dente` you want it to be. Stephanie at finally made this soup. It was well worth the wait. It was delicious. Stephanie, I finally made this soup. OMG it is delicious just like I remember. Thank you so much for this. I made this and practically burnt my hand off. How come stoves and pots get so hot? How do they work? Did you know that pots spelled backwards is STOP!! Why is there so much noise screaming and banging in my parents room after I go to sleep when out neighbor comes over!? My dad has been wanting this soup for a long time. He was upset that Outback chose to discontinue the soup. I came across this recipe and the comments won me over. I told myself, “I have to make this for him”. That’s what I did! He was so happy about the soup when I told him about it. The best part was when he took his first bite he said, “just like I remember”, and that was all I needed to hear! Thank you so much for the recipe!! !